Continuing the trend within the jihadist Internet community of launching attacks on websites as a form of “electronic jihad”, or “e-jihad,” a message was recently circulated among jihadist forums in which a member suggests launching the “Electronic Attack of al-Fallujah”. Desiring to hit the websites of economic interest to the United States, Britain, Israel, and Arab countries and companies led by those who “pretend to be Muslims,” the member advices others to download hacking tools from an electronic jihad website and begin by striking the Egyptian website of Procter & Gamble, www.pg.com.eg . He also requests lists of similar companies, but for those compiling the lists to be “dead sure” of accuracy, for they do not want to hurt someone by mistake. As of Thursday, January 4, 2007, the Egyptian website of Procter & Gamble is down. Unidentified gunmen on Thursday shot dead a prominent Shiite member of the Karbala's provincial council, Sheikh Akram al-Zubaidi, and two of his body guards outside the central city of Karbala. The gunmen, who had set up a false road block, opened machinegun fire on al-Zubaidi's car three kilometres from Karbala was he was heading home, killing him instantly, before fleeing, police sources said. The gunmen wounded two other bodyguards in the attack, the sources added. Al-Zubaidi was disciple of the revered Shiite cleric Grand Ayatollah Ali Mohammed al-Sistani. Karbala is the site of an important Shiite shrine. Days after the execution of Saddam Hussain, there has been a flurry of meetings between President Jalal Al Talabani, Vice-President Tariq Al Hashimi, Adnan Al Dulaimi, the Sunni Accord Front leader and Abdul Aziz Al Hakim, the Shiite coalition leader. These meetings aim to build a new political alliance to better manage the political and security process. Fouad Massoum, a prominent Kurdish leader told Gulf News, "The trend now is to establish a political alliance between the Kurds, the Sunni Islamic Party and the Shiite Sup-reme Council for Islamic Revolution." He added, "Certain security and political conditions require redrawing of the alliance map to enable new alliance to play a greater role in improving security and stability." Massoum said, "The new alliance must reunify moderate Sunnis and Shiites and exclude extremists from both sides." Sources in Baghdad say that recent meetings between US President George W. Bush, Sunni leader Tariq Al Hashimi and Shiite leader Al Hakim in Washington have played a significant role in establishing this new political alliance. But Mahmoud Othman, a Kurdish leader close to Al Talabani, alluded to Shiite-Sunni differences concerning this new alliance, including the Sunnis' insistence on excluding Shiite leader Moqtada Al Sadr as opposed to Shiite leader Al Hakim who wants to include some moderates from the Al Sadr faction. Sa'ad Jawad Qandil, a prominent figure in the Shiite coalition told Gulf News that the coalition is ready to make concessions to the Sunnis to bolster moves to establish a political alliance based on national interests and give the Sunnis a greater role in managing the security process. A spokesman for the Al Sadr faction, Riyadh Al Nouri told Gulf News, "If that alliance crystallises, it will not marginalise the influence of the faction inside the parliament and the government." He continued, "Some do think that the goal of this new alliance is to exclude the Al Sadr faction and I can assure you that no political force can achieve this goal." Some observers believe that this new alliance is likely to be announced next March when Prime Minister Nouri Al Maliki announces some important changes to his cabinet. It is believed that Al Maliki will select ministers from the parties that would make up the new alliance including the ministers of interior, defence and national security. Meanwhile Adnan Al-Dulaimi, the Sunni Accord Front leader, told Gulf News, "The Front will urge Al Maliki to select a new defence minister from the front as a guarantee that the Sunnis will play a greater role in security." The Patriotic Union of Kurdistan [PUK] is expected to hold a mini-conference next Sunday, 7 January, to fill in 11 vacancies created in the last six years. It has also been suggested that [PUK Secretary-General Jalal] Talabani will have two deputies instead of one, with [Kurdistan Region Vice-President] Kosrat Rasul and [Iraqi Deputy Premier] Barham Salih the candidates. Meanwhile, four leadership members are expected to be removed following revelations that they had connections with the [former] Iraqi intelligence. A source told Hawlati, "Two PUK leadership members died and four others resigned in the past six years. Besides, several members will not run again [in the conference]. The mini-conference will fill in those positions and the subsequent leadership will decide on the later steps." Originally, 11 and not 12 members were expected to join the leadership, but the substitute leadership member Shamal Abd al-Wafa was promoted to become a leadership member in the past few days. Regarding the method through which the 11 members will join the leadership, the source said, "There are two opinions: through election or agreement before their appointment. However, it seems they will opt for the election option." The source added, "The main wings of the PUK, namely Talabani, Nawshirwan [Mustafa] and Kosrat [Rasul] will all have their candidates one way or another and the mini-conference will try to help each of them win positions." In the same context, a number of PUK cadres living in Europe have protested against the holding of a mini-conference in a statement, a copy of which was obtained by Hawlati. They described the mini-conference as "staged", calling on the PUK to hold a plenary conference. The statement said, "Except for the Political Bureau meetings, the PUK has held no ordinary leadership meeting since the second conference [of the party]. Hence, it is our right to ask: how can the PUK hold a mini-conference in two week's time without preparation and planning to solve many complicated problems?" The mini-conference is expected to be held on Sunday [7 Jan] and Monday [8 Jan]. The U.S. is frustrated with the government of Nouri al-Maliki and is seeking ways to dump him, well-placed sources say. The prime minister has failed drastically in efforts to reconcile the country’s warring factions and is even thought to be unable to solve difference among his own ruling Shiite-dominated coalition. Maliki, the sources say, has caused the U.S. deep embarrassment through his government’s inefficiency in running the country and the way former leader Saddam Hussein was put to death. Maliki himself does not seem to be interested to continue and is reported to have openly expressed a willingness to his advisers to step aside even before the end of his term. The U.S. publicly backs Maliki but covertly it is hugely disappointed by the performance of his government, the sources say. Maliki has his own grievances. The sources say he blames his failures squarely on the U.S. which is still the real decision maker in the country. Maliki and his government complain they lack the authority to redeploy an army battalion or send Iraqi troops into battle as decisions like these are still in U.S. commanders’ hands. The Iraqi government seems sovereign on the surface while the real reins of power rest with the U.S. But the U.S., though unhappy with Maliki, lacks a clear picture of what to do next and the sources said even U.S. President George Bush is in a dilemma over what strategy to adopt. There is no guarantee that dumping the prime minister or reshuffling the government will improve the security situation. Saddam Hussein’s execution is said to have dashed any hopes for reconciliation as the country’s minority Sunnis now feel more estranged than ever. Millions of Iraqis who oppose the U.S. and Maliki government see the execution as an act of revenge rather than justice. The U.S. quagmire is evident in the lack of a clear strategy. Washington is not at all happy with the Shiite-dominated coalition running the country but at the same time it cannot come to terms with its nemeses, the Sunnis, who are determined to force it to cut and run. The Interior Ministry acknowledged Thursday that an Iraqi police officer whose existence had been denied by the Iraqis and the U.S. military is in fact an active member of the force, and said he now faces arrest for speaking to the media. Ministry spokesman Brig. Abdul-Karim Khalaf, who had previously denied there was any such police employee as Capt. Jamil Hussein, said in an interview that Hussein is an officer assigned to the Khadra police station, as had been reported by The Associated Press. The captain, whose full name is Jamil Gholaiem Hussein, was one of the sources for an AP story in late November about the burning and shooting of six people during a sectarian attack at a Sunni mosque. Khalaf offered no explanation Thursday for why the ministry had initially denied Hussein's existence, other than to state that its first search of records failed to turn up his full name. He also declined to say how long the ministry had known of its error and why it had made no attempt in the past six weeks to correct the public record. Hussein was not the original source of the disputed report of the attack; the account was first told on Al-Arabiya satellite television by a Sunni elder, Imad al-Hashimi, who retracted it after members of the Defense Ministry paid him a visit. Several neighborhood residents subsequently gave the AP independent accounts of the Shiite militia attack on a mosque in which six people were set on fire and killed. Khalaf told the AP that an arrest warrant had been issued for the captain for having contacts with the media in violation of the ministry's regulations. Hussein told the AP on Wednesday that he learned the arrest warrant would be issued when he returned to work on Thursday after the Eid al-Adha holiday. His phone was turned off Thursday and he could not be reached for further comment. COMMENT: This appears to be yet another step taken by the government in which to control the flow of information, only allowing positive news. The admission that Hussein exists adds credence to the burning of Sunnis story, particularly as another source, al-Hashimi, was 'silenced'. The information may have been released now as a warning to anyone considering cooperating with the media. It is also possible that other sources have come forward. COMMENT ENDS. An American civilian contractor and two Iraqi translators have been taken hostage near the southern Iraqi city of Basra. Captain Ollie Pile, the British military spokesman, confirmed on Friday a foreign contractor had been seized, but said he could give no further details and could not confirm that two translators had also been kidnapped. Lou Fintor, the US embassy spokesman, said he was aware of the reports. "We are currently in the process of determining the status and welfare of the American citizen." Mohammad al-Waili, the Basra governor, told al-Arabiya television the civilian contractor kidnapped was an American citizen of Iraqi origin, and that gunmen had seized him along with two Iraqis on Friday. Police said the men were seized at a fake checkpoint near Hartha, around 12km north of Basra, by armed men in three cars who forced them from their vehicle. Four Americans and an Austrian civilian contractor were kidnapped near Basra in mid-November and are still missing. A Sunni clerical group, the Association of Muslim Scholars, said it had obtained information that militias were planning to attack neighborhoods in Baghdad, in line with bloody assaults this year pitting members of Iraq's majority Shiites against Sunni Arabs who dominated the country under Saddam Hussein. "We also have come to know that some officials in this government know of this criminal scheme, which raises suspicions that they are collaborating with these militias," the association said. "The Association of Muslim Scholars holds the current Iraqi government and the occupation forces responsible for any injustice against Iraqi people," said the group, which is believed to have links to the Sunni Arab-led insurgency fighting government and U.S.-led forces. A significant portion of the Iraqi national police is believed to be aligned with militias, and U.S. officials have said efforts are under way to weed out corrupt security agents. The office of Prime Minister Nouri al-Maliki said the Sunni group's statement was wrong. "What has been written in the statement of the Association of Muslim Scholars is absolutely incorrect and it could provoke sedition," al-Maliki's office said. "We hold the association responsible for anything that could happen as a result of this." U.S. President George W. Bush is reported planning a series of changes of key U.S. military and political leaders as part of a new strategy for Iraq. The White House and Defense Department have not confirmed the changes, but U.S. media and administration officials have said they will include appointing Admiral William Fallon, currently head of the U.S. Pacific Command, to replace General John Abizaid as chief of the U.S. Central Command, which is in charge of U.S. military operations in Iraq and Afghanistan. The reports say Lieutenant General David Petraeus is expected to take over from General George Casey as the leading ground commander in Iraq. On the diplomatic side, the reports say current U.S. Ambassador to Iraq and former Ambassador to Afghanistan Zalmay Khalilzad will be nominated to be the new U.S. ambassador to the United Nations. Ryan Crocker, the current U.S. ambassador to Pakistan, is expected to replace Khalilzad in Baghdad, according to the reports. And Bush is expected later today to announce that John Negroponte, a former ambassador to Iraq, is leaving as director of national intelligence to become deputy secretary of state. Officials say retired Vice Admiral and intelligence official Michael McConnell will replace Negroponte as intelligence chief. Bush has said he expects to deliver a speech next week unveiling a fresh Iraq strategy. Officials have said Bush is considering whether to deploy thousands more U.S. troops to Iraq in a bid to bring security. Turkish exports to Iraq are booming despite political differences.The Turks are using the relatively quiet Kurdish north as a base for their exports to Iraq. Iraq currently relies heavily on imports to meet domestic needs including fuel, thought it sits on massive oil reserves. Iraq’s import bill is estimated at $15 billion and at least one third of it goes to Turkey which has set up a permanent trade exhibition in the Iraqi Kurdish city of Arbil. Turkish contractors are carrying out several projects in the Kurdish north whose markets brim with Turkish imports. The surge in trade comes amid strains in political relations as both the Kurdish authorities and the central government complain of Ankara’s ties with certain political factions in the country. 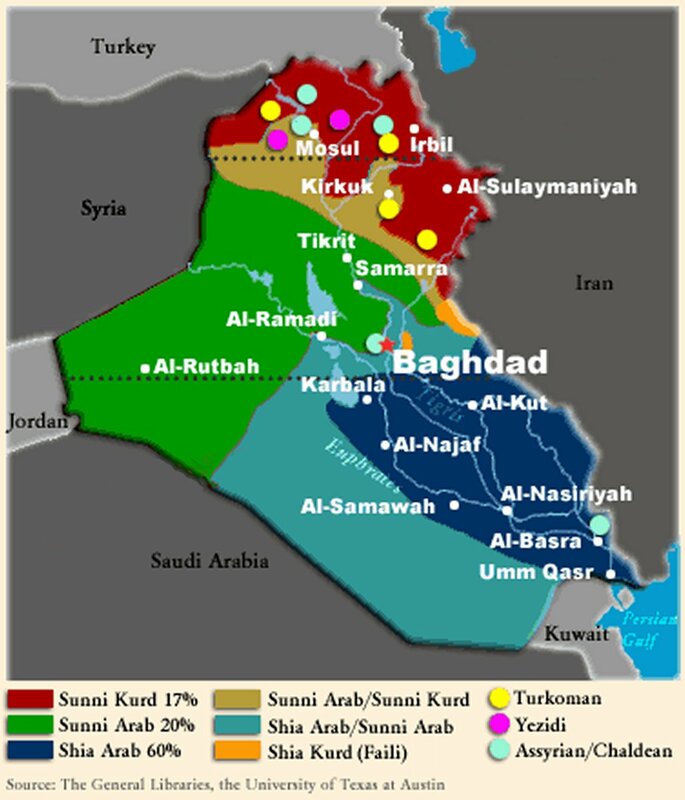 Late last year Turkey hosted a conference by Iraqi opposition groups, namely Sunni factions bent on driving U.S. troops out of Iraq. The meeting drew criticism from the government and President Jalal Talabani. The Turks openly support demands by Iraqi Turkmen for some form of autonomy in their areas in the oil-rich province of Kirkuk which the Kurds want to add to their territory. The Turkmen oppose Kurds’ attempts to annex Kirkuk and have vowed to do whatever it takes not to let that happen. Egypt's Orascom Telecom has been granted a three-month extension of the interim licence for its Iraqi subsidiary Iraqna, Orascom Telecom said.The agreement covers the period up to March 31, and does not change the conditions in the license, Orascom Telecom said.The company has invested over $280 million in Iraq since it won its first license there in October 2003. Iraqna had more than 2.5 million active subscribers in September 2006. Iraq has postponed hanging two of Saddam Hussein's henchmen amid international pressure following the ousted dictator's bungled and much criticised hanging. Meanwhile on Thursday, two justice ministry guards are being held for questioning in connection with the secret filming of Saddam's final moments. Barzan Ibrahim al-Tikriti, Saddam's half brother and former intelligence chief and Awad Ahmed al-Bandar, the head of the revolutionary court, were to have been hanged on Thursday. A senior official from Prime Minister Nuri al-Maliki's office, speaking on condition of anonymity, said the execution was postponed "due to international pressure." Baha al-Araji, an influential Shiite lawmaker from radical cleric Moqtada al-Sadr's parliamentary bloc, said: "I am sure it will be done on Sunday." Another Shiite deputy, Sami al-Askari, said the executions will be carried out after state holidays for the Eid al-Adha festival end on Saturday. He did not give a date. "The executions will be after the holidays," said Askari, who was present at Saddam's hanging on Saturday as Maliki's representative. Askari said there was also a view among some members of the government that the two former regime officials be hanged after the appeals court decides on a prosecution request to send another Saddam aide to the gallows. The prosecution has requested that Taha Yassin Ramadan, former vice president, also be hanged. He was sentenced to life imprisonment, but the prosecution has suggested that this was insufficient. The Iraqi government has reopened its embassy in South Korea 13 years after its closure, an official at the Foreign Ministry said Thursday. A group of three Iraqi diplomats entered the country late last year and "filed a request on Nov. 30 for the establishment of a diplomatic mission," an official at the ministry's office of protocol told Yonhap News Agency. "The ministry has issued approval" for the request, the official added, while speaking on condition of anonymity. 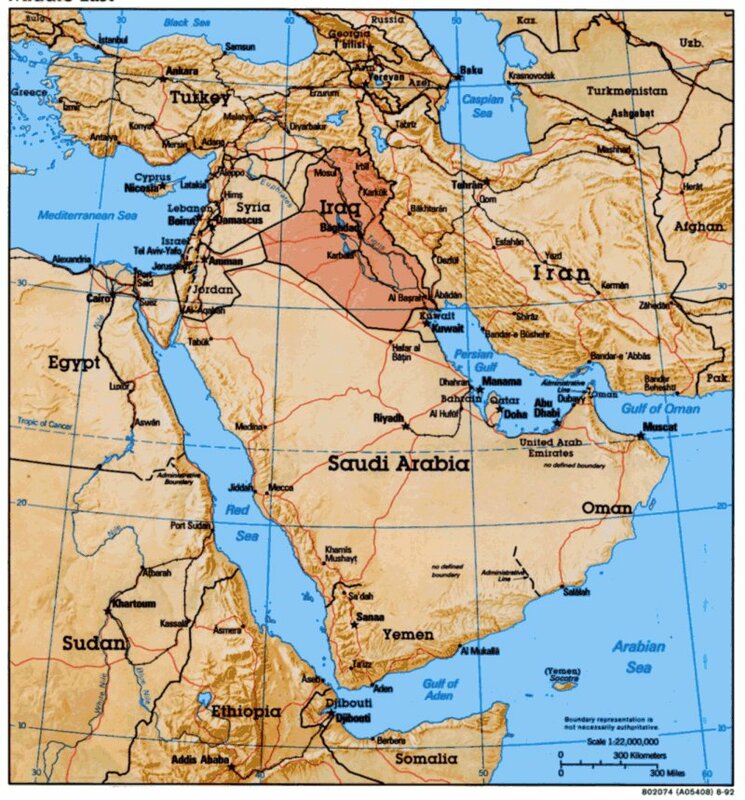 South Korea established diplomatic ties with the Middle Eastern country in 1989, but the country withdrew its mission to Baghdad in 1991 following the Iraqi invasion of Kuwait a year earlier. Iraq closed down its diplomatic mission in Seoul in 1994, according to the ministry. South Korea currently maintains the third-largest contingent of foreign troops in Iraq after the United States and Britain. Iraqi police forced their way into the closed offices of Sharqiya television following a government decision to shut down the station. 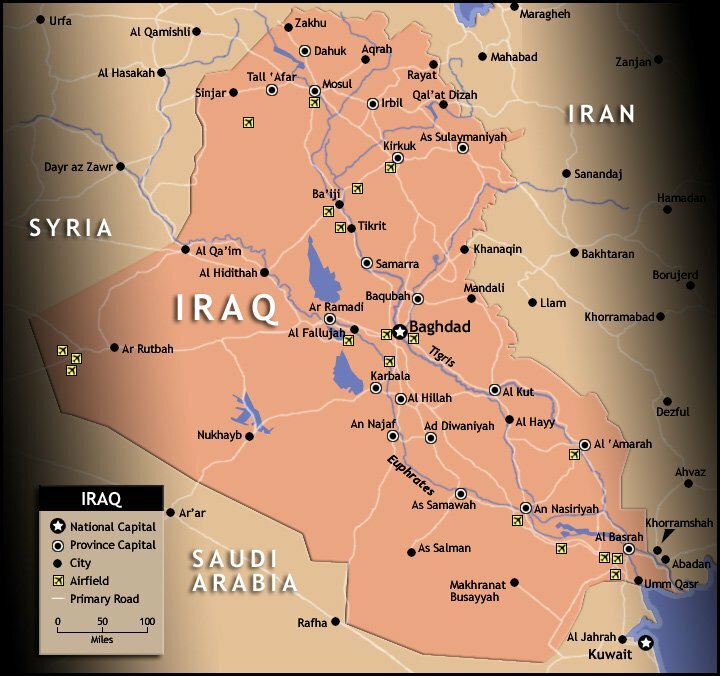 Sharqiya is the most widely viewed television in Iraq and until the government decision to have its offices closed it had access to terrestrial broadcasting inside the country. The breaking into the network’s offices in Baghdad came only two days after the execution of former leader Saddam Hussein. The move is apparently part of a campaign Nouri al-Maliki’s government to wage a war on free media and particularly Sharqiya and its other sister media outlets like Azzaman newspaper, the country’s largest distribution daily. 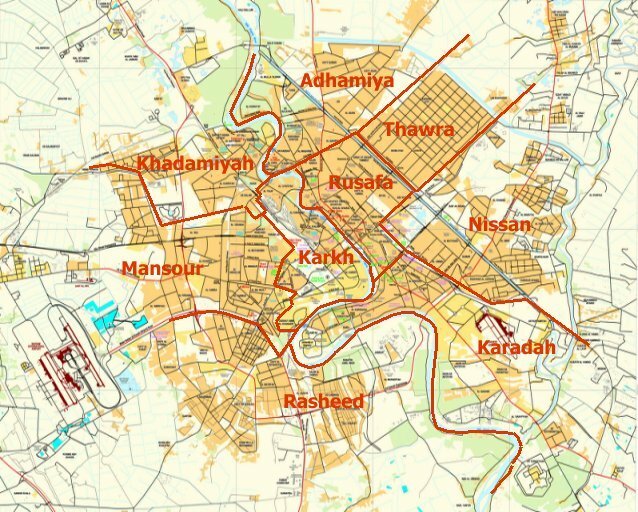 Sharqiya sparked government’s fury when it documented how militias aligned to it were directly involved in the death squads that have been terrorizing the people of Baghdad. The network produced evidence that the government itself was a culprit in the atrocities these squads were perpetrating. The statement described the network’s closure and the storming of its offices in Baghdad “as part of an organized campaign to prevent the flow of information and reject the other opinion.” Sharqiya is also known among Iraqis for its philanthropic activities which include, among other things, assistance to vulnerable groups for treatment outside Iraq and help with housing and education. The statement promised the beneficiaries that the network will honor all its commitments despite the closure of its offices in the country. The Iraqi national security adviser has denied accusations that Saddam Hussein, the former Iraqi president, was humiliated in his final moments, contrary to what a leaked video of his execution showed. The denial came as two guards were detained on suspicion of secretly filming the execution and then distributing it on the internet. Mowaffaq al-Rubaie, asked in an interview on CNN, said: "Where was the humiliation? The shouting of the crowd?" He insisted that there was nothing improper in executioners and officials dancing around Saddam's body after he had been killed, saying it was Iraqi tradition. "This is the tradition of the Iraqis - when they do something, they dance around the body and they express their feelings," al-Rubaie said. "Basically they were doing their congregational prayers and supplications, and they mentioned at the end of their supplication the name of Muqtada," he said. "I have no sympathy for Saddam, but his life is not worth the lives of innocents that die daily in Baghdad. And [Saddam] replied to them. I can't see where is the humiliation, to be quite honest. Muqtada, Muqtada, Muqtada is not a dirty word, not an obscene word, they were not cursing." Iraqi Prime Minister Nouri Maliki has made clear he dislikes being the country's leader and would prefer to leave the job before his term ends. In an extensive interview with a US newspaper, Mr Maliki said he would certainly not be seeking a second term. A compromise choice, his tenure has been plagued by factional strife within both the country and government, and rumours the US has no faith in him. "I wish I could be done with it even before the end of this term," he said. "I didn't want to take this position," he told the Wall Street Journal. "I only agreed because I thought it would serve the national interest, and I will not accept it again." Mr Maliki, a stalwart of the Shia movement which led the resistance to Saddam Hussein, was sworn in as prime minister for a four year term last May after Sunni and Kurd parties rejected the Shia alliance's first nominee. It followed four months of political deadlock. He has since been undermined by sectarian tensions within his majority Shia alliance, as well as opposition from Sunni Arab politicians who say he has not done enough to dismantle Shia militias. The manner in which Saddam Hussein was executed has also increased the pressure on Mr Maliki's government. Mr Maliki has had a tense relationship with the US. Late last year, the New York Times published a memo from the White House national security adviser which contained a withering analysis of his leadership. It described him as "a leader who wanted to be strong but was having difficulty figuring out how to do so" although President George W Bush has subsequently stated that Mr Maliki has his full backing. Mr Maliki has made his own impatience with Washington clear, accusing the US of failing to provide adequate equipment and training to Iraqi forces. He repeated his criticism in the Wall Street Journal, saying US-led forces and the Iraqi army had been too slow in responding to the insurgency. "This gives the terrorists a chance to hit and run," he said. "What is happening in Iraq is a war of gangs and a terrorist war. That is why it needs to be confronted with a strong force and with fast reaction." In the interview, conducted a week before Saddam Hussein was executed, Mr Maliki told the paper he had faith that peace would eventually be restored to Iraq. "I have a strong hope. If I didn't have hope, I wouldn't be here today." Four Americans and an Austrian abducted in November in southern Iraq spoke briefly and appeared uninjured in a video believed to have been recorded nearly two weeks ago and delivered Wednesday to The Associated Press. The men, security contractors for the Crescent Security Group based in Kuwait, appeared separately on the edited video. Three of them said they were being treated well. They were kidnapped Nov. 16 when suspected militiamen in Iraqi police uniforms ambushed a convoy of trucks being escorted by Crescent Security on a highway near the southern border city of Safwan. "My name is John R. Young," one captive in a blue and white sweat suit said in the video. "I'm 44 years old. I'm from Kansas City, Missouri. The date is 21 December, 2006. I'm well, my friends are well, we've been treated well." Another man identified himself as Jon Cote of Buffalo, N.Y. Fidgeting and appearing uncomfortable, he said: "I can't be released until the prisoners from the American jails and the British jails are released." The captives were dressed in civilian clothes and spoke in a flat, impassive tone. Several had their hands folded in their laps. U.S. Embassy spokesman Lou Fintor said the State Department was in touch with the families of the American captives, and that the embassy was working with U.S.-led forces and the Iraqi government in an effort to ensure their safe return. "We are aware of press reports of videotapes of American hostages held since Nov. 16, but have no independent confirmation of the existence or veracity of any videos," Fintor said. "We have no information on who may be holding these American citizens." The kidnappers were not seen or heard in the video, which lasted one minute and 40 seconds and was digitally stamped with the dates Dec. 21 and Dec. 22, 2006. It began with an image of a Quran and a map of Iraq over a green background, changing to a title that read, "The National Islamic Resistance in Iraq. The Furkan Brigades. The captivity operation was done in the Safwan district in Basra." Safwan is a Sunni Arab city in a predominantly Shiite area. It was unclear whether the kidnappers were holding the contractors to put political pressure on American-led occupation forces and the U.S.-backed Iraqi government, or were seeking a ransom. U.S.-led forces have conducted raids in an effort to rescue the men. Iraqi authorities report the arrests of two guards and an official in the investigation into who taunted Saddam Hussein as he stood on the gallows and took cell phone pictures showing his body dangling at the end of a rope. The unauthorized video has ignited protests by Saddam's fellow Sunni Arabs in various Iraqi cities and threatens to make a martyr out of the ousted dictator. Saddam was shown never bowing his head as he faced death, and asking the hecklers if they were acting in a manly way. The Bush administration sent conflicting signals Wednesday about the conduct of the execution, with the White House declining to join criticism and the State Department and U.S. military publicly raising questions about it. National Security Adviser Mowaffak al-Rubaie and two other top officials variously reported one to three men were detained in connection with how Saddam's execution was conducted. "The investigation has already had an arrest warrant against one person and two to follow," al-Rubaie told CNN. He said the guard force at the execution was infiltrated by an Arab television station or another outsider. al-Rubaie admits things did not go to plan. Another Iraqi official says the hanging was supposed to be carried out by hangmen employed by the Interior Ministry, but that militias infiltrated the executioners' team. The clandestine footage appeared on Al-Jazeera television and Web sites just hours after Saddam was hanged Saturday. The tumultuous scenes quickly overshadowed an official execution video, which was muted and showed none of the uproar among those on the floor of the chamber below the gallows. Prosecutor Munqith al-Faroon, one of 14 official witnesses to the execution, told The Associated Press that he saw two government officials using camera phones at the hanging but did not know their names. Caldwell said no Americans were present for the hanging and that the tumultuous execution would have gone differently had the Americans been in charge. The White House declined to join in the criticism. The UN high commissioner for human rights has appealed directly to Iraqi President Jalal Talabani to block the execution of two top officials of former President Saddam Hussein's regime. Louise Arbour said she had concerns about the fairness of the trial that convicted Hussein as well as Hussein's half-brother, Barzan Ibrahim al-Tikriti, and former chief Judge Awad al-Bandar. Her appeal came amid reports that the two men could be hanged soon. Iraqi officials have meanwhile said that at least one man has been questioned over the unofficial mobile-phone-camera video of Hussein's hanging on December 30. National security adviser Muwaffaq al-Rubay'i was quoted as saying whoever released the video of the execution was trying to divide Iraq's Sunni Arabs and Shi'a. The U.S. military, which handed over Hussein to Iraqis for the execution, on January 3 said it played no role in the hanging but would have handled the death sentence differently than the Iraqis. In other news, two bombs exploded near a gas station in a mainly Sunni district of Baghdad today, killing at least four people and wounding more than 20. Police said a car bomb went off shortly after the first blast, a roadside bomb that struck people lining up for fuel.